Check back often for updates and news about our latest products offerings! Once again, Tom Kunysz, owner of Summit Supply, was recognized as Favorite Foods' 2014 Vendor Representative of the Year and Summit Supply was named 2014 Vendor of the Year. Once again, Tom Kunysz, owner of Summit Supply, was recognized as Favorite Foods' 2012 Vendor Representative of the Year. ARTICLE - WHY BUY LOCAL? Buying local converts a great deal of revenue back into the local community; money spent locally stays locally. It also conserves tax dollars, helps strengthen social bonds through social and economic relationships, reduces environmental impact and transportation costs and provides superior customer service. Click here to read more on why it is important to buy local. For the third time in four years, Favorite Foods, New Hampshire's only independently-owned broadline food and paper distributor, has awarded Summit Supply the 2010 Supplier of the Year. Additionally, Tom Kunysz, Owner of Summit Supply, was recognized as Favorite Foods' 2010 Vendor Representative of the Year. Great Bay Trout Unlimited has recognized Summit Supply as its 2011 Business Sponsor of the Year. Read about it here. Summit Supply has committed to a long-term sponsorship of the Portsmouth Restaurant Week. Read about it here. 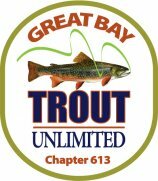 Trout Unlimited and its local chapter Great Bay TU on a long-term, multi-project basis. For the second year in a row, Favorite Foods, New Hampshire's only independently-owned broadline food and paper distributor, has awarded Summit Supply the 2008 Supplier of the Year. Favorite Foods, New Hampshire's only independently-owned broadline food and paper distributor, awards Summit Supply the 2007 Supplier of the Year. As featured in THE FAVORITE INDEPENDENT, volume 5, issue 3 , read about how easy it is for you to Go Green With Your Chemicals.